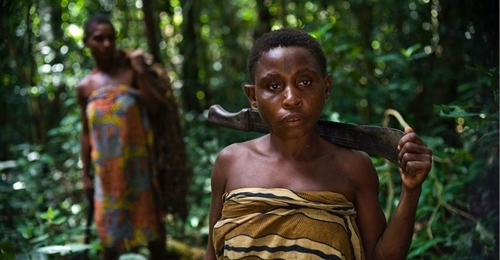 According to the director and founder of the Cameroon-based NGO African Women’s Network for Community Management of Forests (REFACOF), Cécile Ndjebet, millions of African women work in forestry, but many lack the rights of land tenure afforded to their male counterparts. The global forestry sector could play a powerful role in empowering rural women through land tenure. “Women have a vital role, but their positions are often precarious. Women are frequently disadvantaged in a range of interrelated cultural, socio-economic and institutional ways, in their access to and control over forest resources and in the availability of economic opportunities. Ndjebet adds “Women often have highly specialised knowledge of trees and forests in terms of their species diversity, management and uses for various purposes, and conservation practices. Compared with men, women’s knowledge tends to be linked more directly to household food consumption and health, which is particularly important during food crises. “Empowering women in the forest sector can create significant development opportunities for them and generate important knock-on benefits for their households and communities.” She adds that a primary component of this action is dedicated funding mechanisms for forest smallholders to make certification effective and to ensure secured land tenure for women. In emerging nations, women’s rights are often not directly linked with property rights and customary rights. There is a need to build the business case for women’s inclusion, to invest in education and leadership training for women at all levels, and to raise awareness among both men and women of women’s exclusion and of the benefits of women’s inclusion, says Ndjebet. Kim Carstensen, executive director of FSC, concurs: “Collective action on land tenure for women will not only improve the economic and ecological sustainability of forestry, but promote the ethos of Forests For All, Forever rather than exploiting a finite resource to the point of exhausting it. The Forest Stewardship Council is developing a gender strategy to bring this crucial topic forcefully into the global forestry debates, he adds.